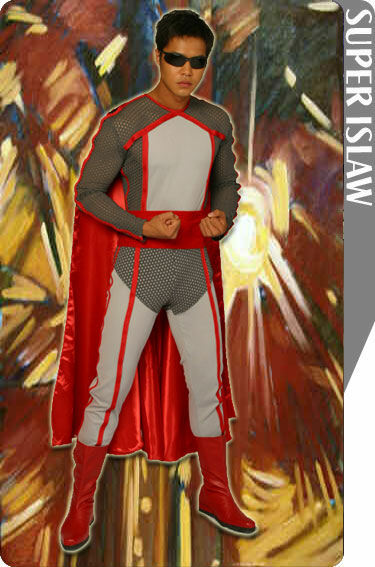 History: Super Islaw was a young crippled boy who was granted mystical powers because of his good heart. He used these abilities to protect the innocents of his town, battling supernatural beings such as vampires. Comments: The character was first played by Filipino actor Richard Gomez in the 80s. After more than two decades, the character was resurrected in ABS-CBN's Super Inggo (2006), which is based on the Hollywood movie Sky High. In the TV series, the character was played by Zanjoe Marudo. Super Inday in the TV Series is Super Inday (another superhero)s fiancée but he and Super Inday were trapped in a mystical jar until recently. Thanks to Jess Fernandez for information and images.